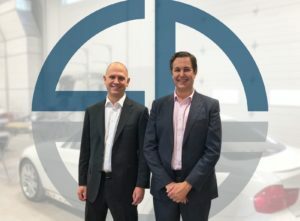 A financial group that seeks to offer “long-term, patient, minority capital to ambitious entrepreneurs” in “high-growth mid-market” Canadian businesses announced its first investment was in a six-shop collision repair company. The funding suggests the market might see opportunity in a regional MSO seeking to grow. Lift Auto Group only has six shops but has set a goal of expanding into “one of the leading collision repair groups in Western Canada,” according to the fund’s news release. The repairer “immediately” used part of the $11.6 million injection to close “a significant acquisition” in Edmonton, Canada, according to the fund. Lift CEO Mark Reineking, whose background in the financial sector includes a stint as CEO of an agricultural financier, said in an interview Tuesday he wasn’t entirely sure a six-shop company would be large enough to pique market interest. “The appetite was really there,” he said, though he noted that “we were on the low end” of what institutional investors would consider. He said Lift’s pitch to enter the consolidation race drew interest from investors in both Canada and the U.S. However, Reineking noted that most of the interest was in a majority-share model like private equity. It was “very difficult” to find an investor willing to be a minority stakeholder and let him and his business partners keep control. This made the fund an attractive partner. Lift’s advisers AltaCorp Capital put the two companies together, according to the fund. Lift Auto is Reineking’s family business, and he returned to run it with Chief Operating Officer Michael Schurink, the son of a a colleague of Reineking’s father. They run the company alongside Executive Vice President Brad Kopp, who had worked with Reineking in the financial world. Reineking said he and Schurink felt market conditions such as the need for investment in equipment meant “consolidation is necessary.” He said such growth was the vision since the shop was a single location. 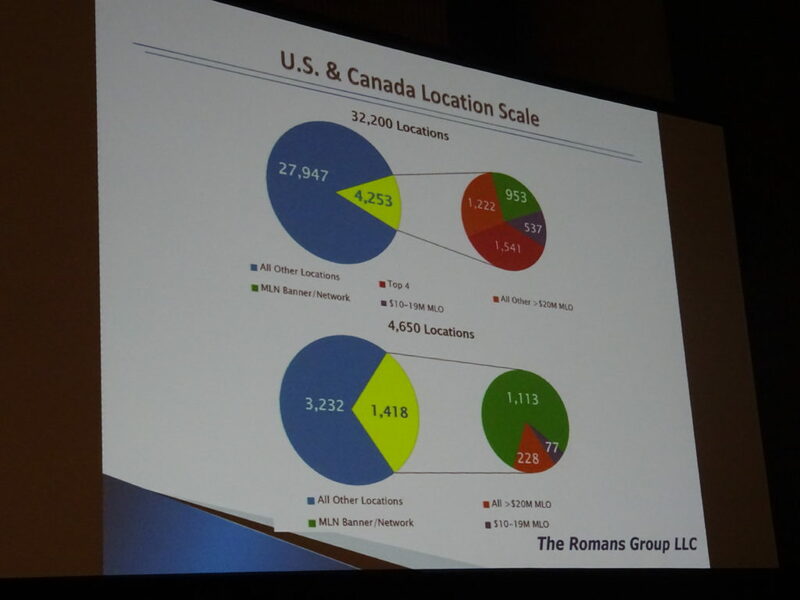 Romans Group founder Vincent Romans calculated that 3,232 of the 4,650 locations in Canada in 2017 were small operations, neither multiple location facilities doing at least $10 million CAD nor members of banner or other networks. “They’re looking for a succession plan,” Reineking said of the thousands of smaller operations. Lift Auto could start capitalizing on this trend to grow and at the same time give people “a good exit,” he said. However, those 3,232 locations only represented $649 million CAD of the $3 billion sector; the larger players controlled the rest in 2017, according to data Romans presented in August. Asked about the clout of Canadian banner or franchise players like Collision Solutions Network, Fix Auto and CARSTAR — arguably consolidators in their own right — Reineking said he looked at them differently. “They have the same succession issues,” he said, for those shops are still independently owned and operated. Reineking said that up until this point, Lift Auto’s growth was internally financed by its founders and business partners and traditional lenders like banks. Reineking and Kopp had contacts in the financial sector from their previous careers to help get them in the door, but “there was a healthy appetite” to invest in the collision consolidation business model, he said. However, that doesn’t mean a shop with operational success can show up and get a check. Reineking said he felt his and Kopp’s financial expertise helped bring “a level of comfort” to investors when combined with Schurink’s operational expertise. He suggested another MSO would need such a capability to help secure similar financing. He said he felt the key was the ability to articulate Lift’s vision to investors and show the pipeline of shops it had lined up to purchase. “It’s not a black box,” he said. Lift’s plans and the market support are reminiscent of a regional MSO growth trend observed in the U.S.
Bulbuck, whose firm owns Gerber Collision in the U.S. and the Canadian MSOs Boyd Autobody and Assured Automotive, told analysts on an Aug. 10 quarterly earnings call that the most meaningful trend he could comment upon was the existence of numerous growing regional MSOs. Financial consulting firm FOCUS offered a similar assessment in a July report. Bulbuck said the growing regional MSOs could be opportunities for some acquisitions, and many of those regional players had 10-15 shops, or even 15-20 locations. 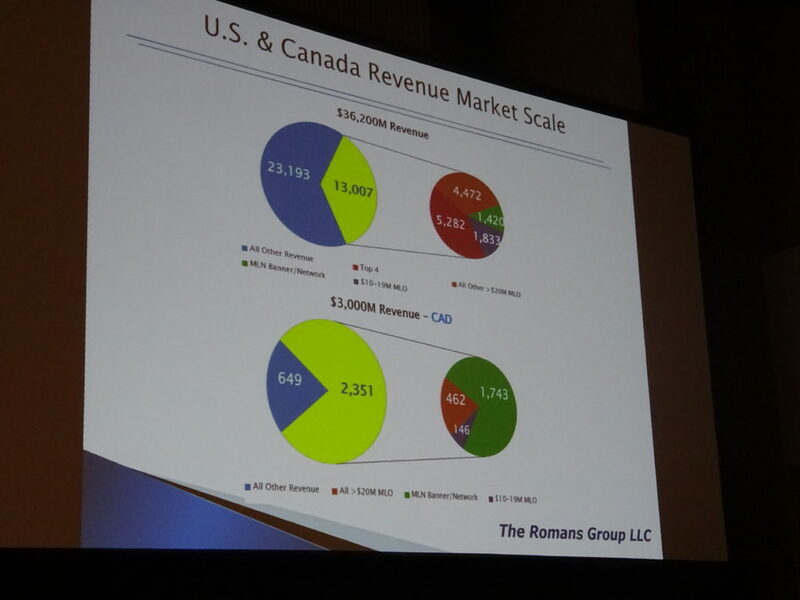 Romans told the MSO Symposium in August that multi-location companies doing $20 million a year or more in U.S. sales went from 9.1 percent of the $30 billion collision industry revenue in 2006 to 26.9 percent of the $36.2 billion market in 2017. Those operations had nearly doubled in number during that time, from 57 in 2006 to 96 by the end of 2017, based on Romans’ estimate. (It was the highest number of $20 million businesses ever for the industry, he said.) They represented around 2,763 shops out of the 32,200 U.S. market. The MLOs doing between $10 million and $20 million were another $1.42 billion in revenue and controlled 537 more locations in 2017, according to Romans. Altogether, all of the businesses doing $10 million or more represented 35.9 percent of the $36.2 billion U.S. market at the end of 2017.